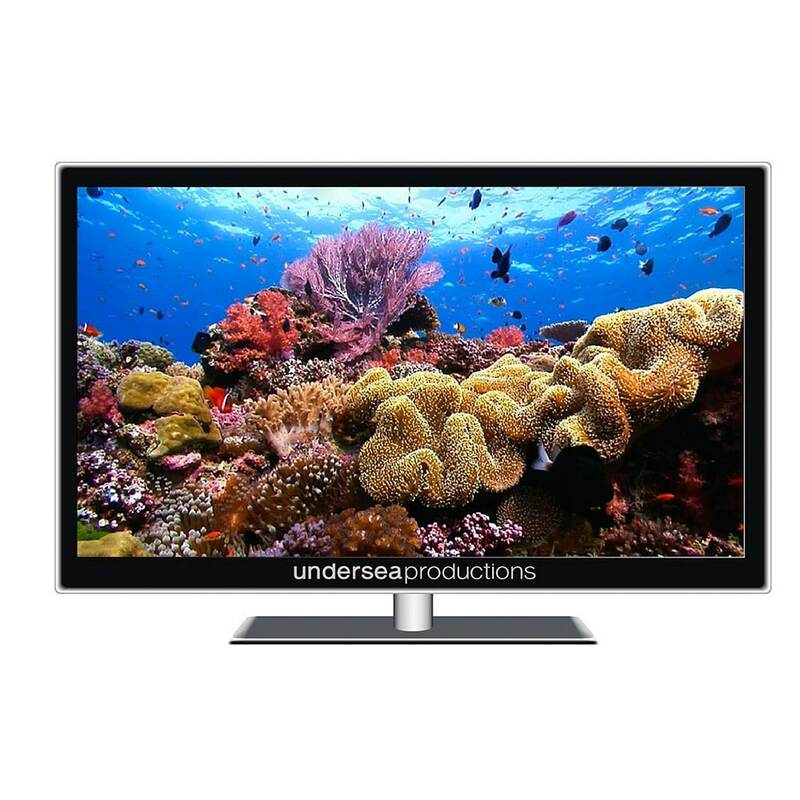 The world’s most breathtaking underwater scenery transforms your widescreen TV into a natural ocean aquarium. 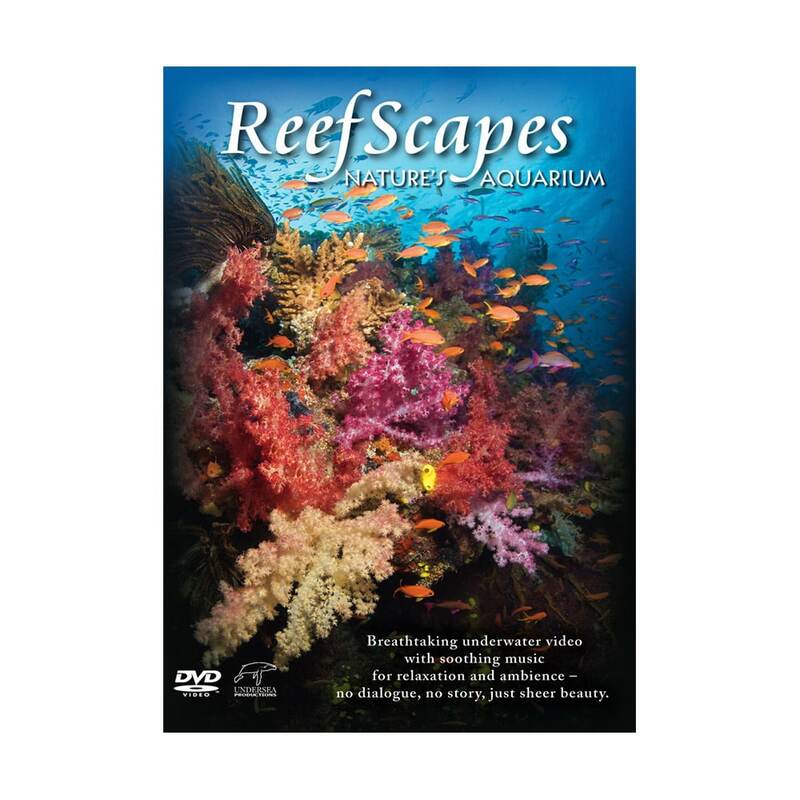 Reefscapes: Nature’s Aquarium takes the aquarium DVD concept to the next level because it wasn’t filmed in a fish tank—instead, it was filmed on actual coral reefs. Ideal when you want something beautiful, colourful and inspirational to showcase on your TV or computer. Reefscapes sets the perfect mood whether you’re entertaining friends, looking to be uplifted, or simply relaxing at the end of the day. From the clear blue waters of the Fiji Islands, Reefscapes: Nature’s Aquarium brings you a beautiful hour-long collection of seamlessly unfolding ocean scenes. Magnificent corals serve as a natural backdrop to the hundreds of colourful fish as they peacefully swim through this unique tropical marine stage… and the action unfolds not within the confines of a fish tank, but in the South Pacific’s limitless blue. 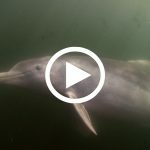 Professionally filmed using high-end optics and super-wide lenses for outstanding picture clarity, you’ll experience the ocean’s coral reefs as if you were right there! 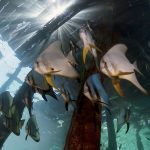 The bonus featurette Reefscapes: A Closer Look guides you a 20-minute undersea journey where you’ll meet the tropical species that inhabit Fiji’s pristine reefs: butterflyfish, shrimps, angelfish, turtles, sea stars, parrotfish, anemones… A Closer Look is an enchanting virtual dive, and even includes optional subtitles that identify each critter for you. The exquisite visuals are enhanced by the serene music of award-winning composer Bjørn Lynne. 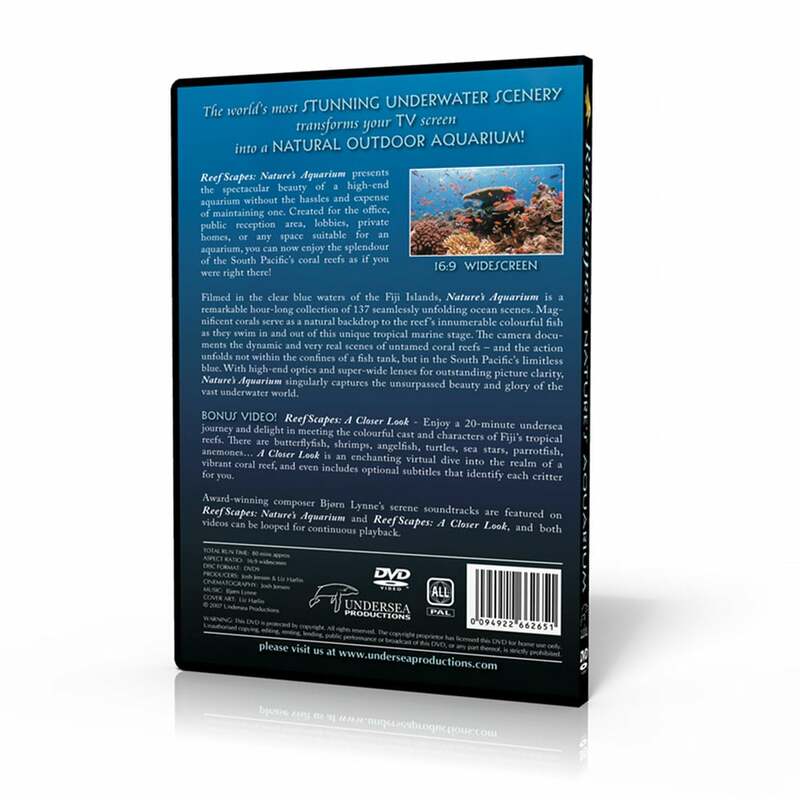 One professionally filmed and produced DVD containing a Main Feature (60 minutes) and a Bonus Feature (20 minutes). 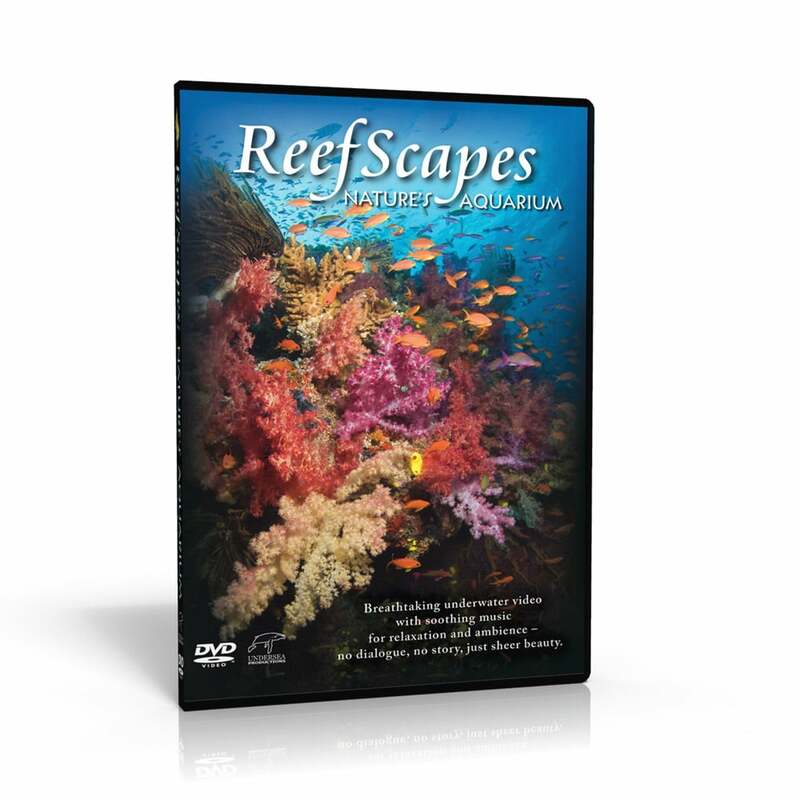 The main feature of Reefscapes: Nature’s Aquarium is available as a High Definition download (buy or rent) from iTunes and Google Play. Have been looking for fish for my TV for some time and finally someone (namely you) has produced it and produced it spectacularly well. Many many thanks, bring out more as soon as you can. Just wanted to say the Reefscape DVDs I received are truly amazing, so incredibly relaxing with the accompanying music adding to the experience, even the dog chills out when I play it!! First class. I have many underwater DVD’s so I can confidently say that yours is one of the best I have seen. Congratulations on an excellent product which I will recommend to all my friends. My children and I had a great experience snorkeling in the Great Barrier Reef in Australia years ago, and I was impressed by the diversity and beauty of the underwater life. I wanted to recreate such a wonderful experience in a very eco-friendly way at home. 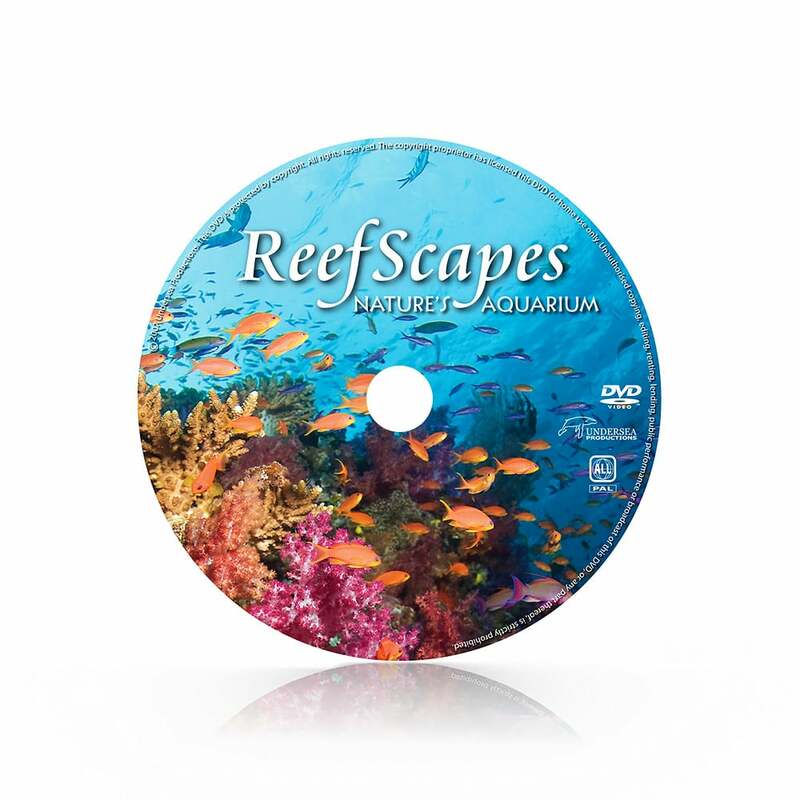 I looked at all of aquarium DVDs for sale on the internet but none compared to Reefscapes: Nature’s Aquarium, since it feels you are right there in the ocean swimming along the fish. The photography is just spectacular and the music is very complementary to the peaceful underwater setting. I strongly recommend your DVDs for the home or the office.